Stay in Biloxi’s ONLY CONDO DIRECTLY ON THE BEACH! Sea Breeze is a luxurious Gulf-front condominium completed in early 2008, located within walking distance of the Treasure Bay Casino and only a short drive to the Beau Rivage and the Hard Rock. It’s only a short distance to the Great Southern Golf Course, Edgewater Mall and the Biloxi Convention Center. Our 10th floor 'Island View' unit has 1,427 square feet of living space, which is the largest 2-bedroom unit at Sea Breeze. The living room and the master bedroom overlook the Gulf of Mexico, both of which have floor to ceiling windows. 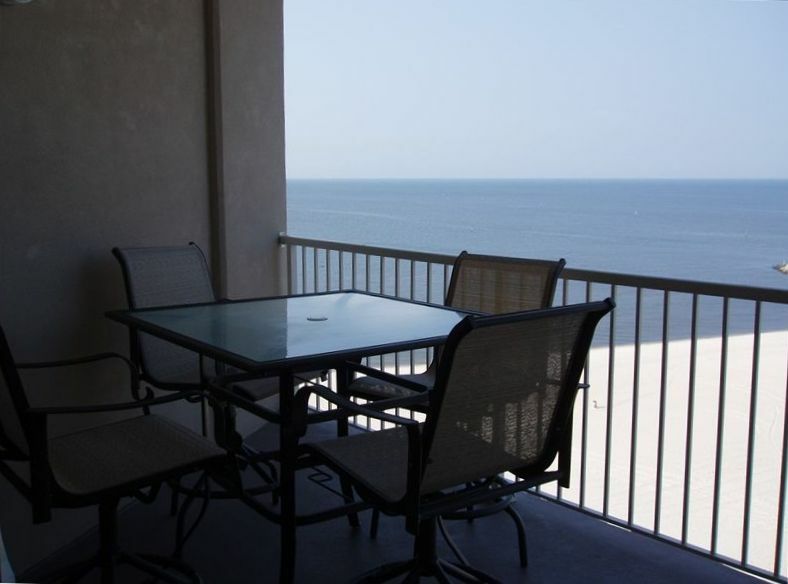 Since Sea Breeze is the only condominium directly on the beach, it is the premier location in Biloxi! Our unit sleeps six--a king-sized bed in the master bedroom, a queen-sized bed in the guest bedroom, and a queen sleeper sofa in the living room. It has two full baths. The living room and bedrooms are equipped with flat-screen TVs, and there is a DVD player in the living room and master bedroom. Our condo has WIFI in the unit. If you enjoy cooking, take advantage of the upgraded, fully-equipped kitchen with granite countertops, stainless steel appliances, smooth-surface cook top, and microwave. Our unit has a laundry room with a full-sized washer and dryer. Sea Breeze offers many amenities - two Gulf-front pools (one of which is heated in the winter and early spring), full Fitness Center with Sauna, and covered parking. Sea Breeze is convenient to fine and casual dining, casinos, shopping, golfing, fishing, boating--you name it, Biloxi offers it! Any time of the year, you can enjoy the spectacular sunsets on your private balcony which can be accessed from the living room – just like paradise! Come to Biloxi! Come to Sea Breeze! Sorry - no smoking; no pets. Only condo in Biloxi Directly on the Beach! There are 8-10 casinos in Biloxi. We very much enjoyed our stay at the condo, it is very nicely furnished and the location is wonderful. We enjoyed sitting on the 10th floor balcony and watching the sunset. We will back very soon! We were delighted to find a condominium complex right on the beach with a great pool, an exercise room and a spa tub in the master bath! Linda's condo was perfect. Beautiful view, modern kitchen, comfortable furniture and beds. We had a nice time at a great condo. The communication from Linda was fast and amazing. The condo was clean and comfortable. The office staff were equally nice. We’ll return and try to stay again! The only “complaint” (if you can call it that) was the squeaks in the box springs. The beds were very comfortable. Great condo, very spacious with great views.